Sleep is clearly a really important issue in my practice. Many people come to see me seeking help for insomnia. I’ve found that it is also extremely common for those seeking help with their mental health to be sleep deprived or have problems with their sleep patterns. Sleep is something that is so vitally important to us. Every person and animal on the planet needs to get some sleep every day in order to function. Studies have shown that sleep deprivation can lead to all kinds of problems; memory loss, weight gain, suppressed immunity and can even precede mental illness. Tired people can become more heightened to the effects of stress, leading to depression, anxiety and anger problems. It has been shown that tiredness often has a hand in road traffic accidents and even contributed to the Chernobyl and Challenger Space shuttle disasters. Although there has been huge amounts of research into why we must sleep, there is currently no agreed consensus as to its necessity. It appears that sleep is as complicated as it is important. Much research has shown that our bodies use sleep to restore themselves, growing millions of cells that have died off due to our daily activities. There are genes that control metabolic pathways that only activate during sleep. Other research indicates that we use sleep as a way of brain processing. When we learn new information or skills, our understanding is helped because while we sleep important synaptic links are reinforced. Researchers have found that solutions to complex problems can be found more easily after sleeping well and that creativity is also enhanced by this night-time processing. There are many many theories as to why dreaming is so important to us. It is something that has always fascinated mankind and the interpretation of dreams has been a big part of many human cultures throughout history. Dreaming only accounts for around 20% of our night’s sleep. This is because it uses a great amount of energy, maybe 4 times as much as the brain uses whilst you take an exam. Much of the stress and anxiety that we encounter in our day to day lives is accumulated and stored in the emotional primitive part of our mind. It appears that the reason REM sleep – the dream state – uses so much energy is because this emotional content is moved from this emotional area of the brain to then become ordinary memories that we have control over. For instance, imagine being annoyed by something during the day, maybe a negative comment at work, maybe someone cuts you up in traffic, you get home feeling quite agitated but bed time comes and you go to sleep. You may dream about the event as it occurred or more likely in a metaphorical way, but when you awake the next day you’ll probably wonder why the event got to you as much as it did. 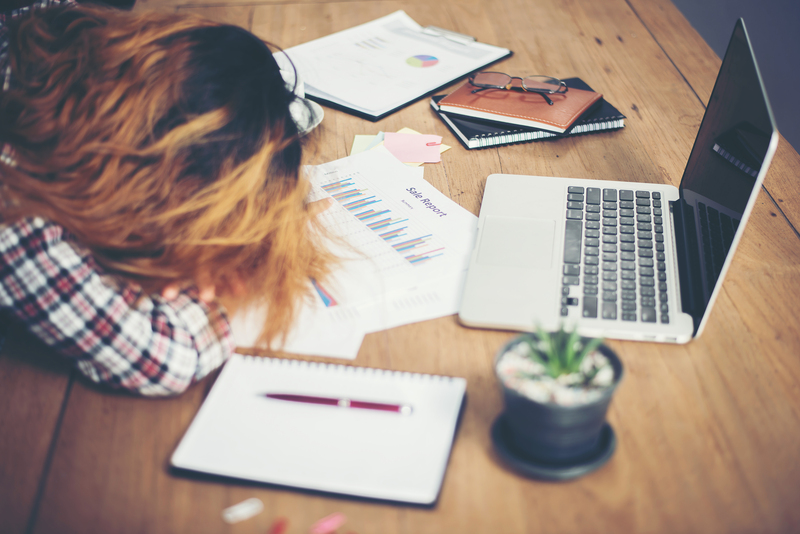 Most people are probably aware that during periods when they cannot get as much sleep as they’d like or when their sleep is interrupted, coping with stress can become difficult. Small things that you’d normally shrug off become major problems! Often the reverse is true as well. During periods when people encounter higher than usual levels of stress, sleeping can become difficult. I understand these problems to be linked to the processing of the emotional content of our primitive minds. When we encounter higher levels of stress it takes more brain energy to process this anxiety. This means that we are either woken up by our brain during the night in order to save energy reserves for the following day, or, we wake the following morning feeling exhausted as the brain has tried extra hard to do it’s emotional processing. These problems can really become a vicious cycle. When we get up following a bad night we are already encouraged to see things negatively. During the day the events of our lives, and the going over them in our imagination, are more likely to be encountered negatively. This leads to more emotional processing needed by a brain that is already struggling to cope. Whilst I was training to become a Hypnotherapist the first guinea pig for hypnosis was my wife. She had been something of an insomniac for most of her life and was more than happy to see if I could help. Going into trance through hypnosis has been shown to be a very similar state to REM sleep. As such, it is really helpful for people struggling with their sleep. We can use the time in trance to start to process the emotional content of the primitive mind while also practicing how to become deeply relaxed, something that might have become difficult for those with insomnia. Breaking the negative cycle of bad sleep and being stressed can then start to become much more achievable. It only took 3 or so sessions for my wife to become someone who sleeps soundly, she even credits this turnaround in her life to helping her to quit smoking! If you would like to know more about how Hypnotherapy could help you, please get in touch and we can book in your initial consultation.